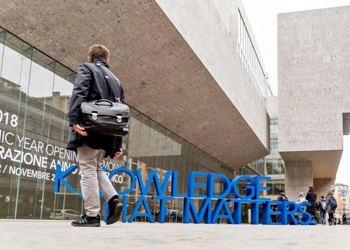 Bocconi University has adopted a strategic plan for the five-year period from 2016 to 2020. The plan, approved by the University Board in June 2015, analyzes the major trends affecting higher education in the international and domestic contexts, sets out the strategic position of Bocconi, and outlines the main objectives and strategies which will guide the actions of the University over the five years period. The plan also describes the operations and initiatives designed to achieve the main objectives. Given the rapidly changing scenario - which could be affected by evolving market conditions, competitive environments and technology - specific actions and initiatives may need to adapt to evolving circumstances. The following are the main strategic objectives laid out for the five-year period from 2016 to 2020. Increase the hiring of faculty from the international market in a context of strong competition for the most productive researchers: Increase the number of permanent faculty by about 10%, net of retirements and other departures, and raise the international faculty by 10 percentage points from the current level by 2020. Increase faculty research productivity and visibility while favoring rigorous, relevant research activity aimed at addressing problems facing policy makers, companies, and institutions: All Bocconi departments are to rank among the top five in Europe in terms of scientific production and reputation in their relevant areas by 2020. Increase faculty engagement with students aimed at enhancing the students’ university life- transforming experience and favoring the development of their abilities, skills, and competences: Continue and intensify efforts to innovate the teaching model, strengthening the use of interactive methodologies, tools, and technologies aimed at improving the learning process of students. Strengthen the recruiting of high-potential international students, reducing reliance on Italian students in a context of increasing student mobility: Increase the percentage of international students from the current 14% to 18% by 2020. Increase the international exposure of students, in terms of both study abroad opportunities (exchange, double degrees, etc.) and international internships: Increase opportunities for international study abroad from the current 35% of students per year to 50% per year by 2020 and increase the number of international internships from approximately 1,200 per year currently to 1,500 per year by 2020. Increase professional/work experiences for undergraduate students, thereby favoring their learning process: Increase internship opportunities for undergraduates from the current 22% of students per year to 30% by 2020. Increase the international placement of graduates by leveraging international alumni and corporate partners: Increase the percentage of graduates employed abroad (one year after graduation) from the current 25% to 30% by 2020. Increase the international hiring of administrative staff, with a special focus on people with international backgrounds and experiences: Increase the percentage of international staff from the current 1% to 5% by 2020. Increase investments in social mobility, through an increase in income-based scholarships, tuition waivers, and financial aid and, at the same time, strengthen the social engagement of the different Bocconi stakeholders (students, faculty, staff, and alumni) in benefiting the community: Increase investments from the current € 24 million per year to € 30 million per year by 2020. Strengthen fundraising efforts, also leveraging alumni engagement: Increase cash flow from fundraising from the current 2.5% to 4% of total revenues by 2020. Continue improving Bocconi’s positioning in the main international rankings: Bocconi is to be classified among the top five in Europe and the top 20 in the world in all relevant rankings of business schools and social science universities by 2020. Expand, improve, and innovate campus buildings, facilities and infrastructure – also leveraging new technologies for teaching and learning – to offer students a life-transforming experience in a state-of-the-art environmentally friendly and sustainable campus.